10. SU-37 by Jamie Rothwell: A great example of a score and fold design with great looks that will get you up in the air in no time. The SU-37 is an excellent platform for parkjets, and this design is standing the test of time. 9. Cargo Twin by Jamie Rothwell: We don't have many non-jet designs, but the Cargo Twin proves maybe we need a little more variety. A simple design that gives you your fix for a twin engined cargo plane. 8. SU-37 by Steve Shumate: This design bounces in and out of the Top 10, but it does represent one of the most scale designs out there. Most of the time people can't believe it's made out of foam. Twin thrust vectoring and available clear canopies from 6mmFlyRC make it a great winter project. 7. Eurofighter by Jamie Rothwell: Another Jamie Rothwell design! The Eurofighter is one of the basic designs that every parkjet pilot needs to try out at least once, it's one of our all time favorites. Great big wings and simple control set up make it a super easy flyer. 6. 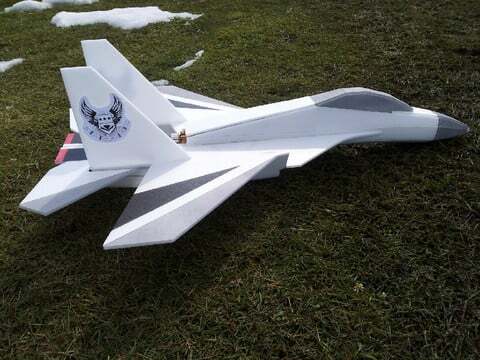 F-35 by RC Cal: The Lightening II continues to be popular on parkjets. 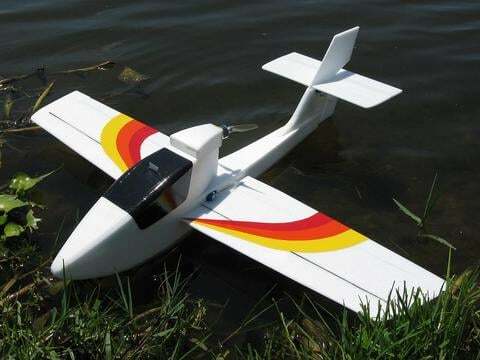 Large wings, twin tail and a modern design make it an easy choice for anyone wanting a little variety in their fleet. 5. Mermaid by Marcel du Plessis: The Mermaid is one of the few water capable designs on the site. Add that to a proven designer and you get a great performing plane with versatility. 4. Hydro: Part plane part boat, the Hydro continues to captivate builders out there wanting a totally unique experience. 3. SU-37 v2 by Jamie Rothwell: This plan can be converted to the SU-35 and features some refinements to the original design featured above. A great update to a great design. 2. F-15 v2 by Jamie Rothwell: Another Rothwell design, this one of the mainstay of the U.S. fleet, the F-15. This design is a score and fold with easy assembly and good performance. 1. 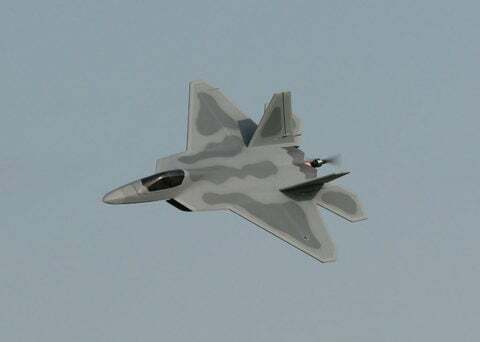 F-22 by Steve Shumate: Back at #1 after a few months bouncing around, the Steve Shumate designed F-22 Raptor is an excellent example of taking foam construction to another level. Thrust vectoring and smooth lines make this a winner all day long.